One of the Folger Shakespeare Library’s copies of Shakespeare’s First Folio is touring the United States and currently on display February 15 to March 15 at the Arizona State Museum in Tucson. 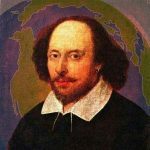 During this time, the University of Arizona is hosting many events to join in the celebration of 400 years of Shakespeare. One of its workshops, “Shakespeare First! From Page to Stage!” took place on February 20 and was streamed live to the Mesa Public Library and the Yuma Main Library. 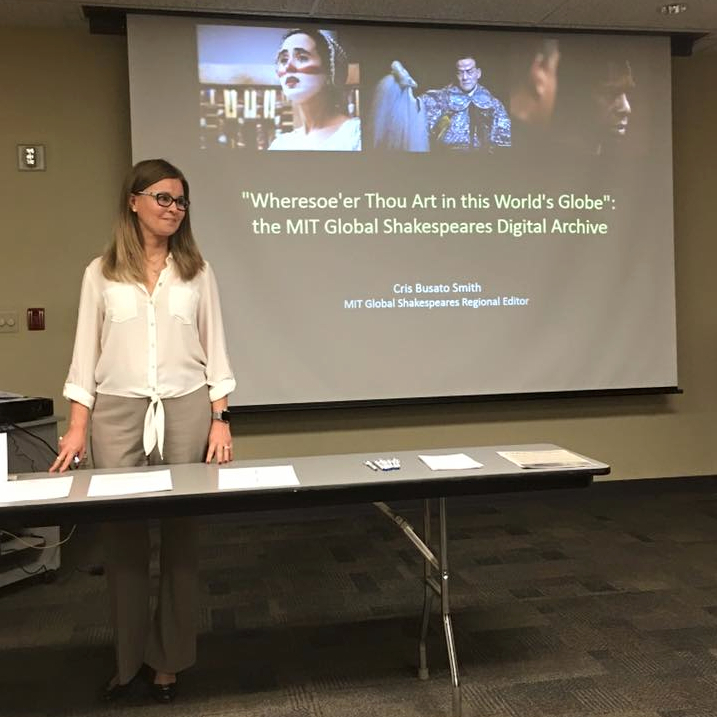 Dr. Busato Smith was on hand at the Mesa Public Library as a special guest presenting her talk: “‘Wheresoe’er Thou Art in this World’s Globe’: the MIT Global Shakespeares Digital Archive”. Cris Busato Smith also has a forthcoming essay publication in The Shakespearean International Yearbook, entitled “What ceremony else?” Images of Ophelia in Brazil: the Politics of Subversion of the Female Artist. Cris Busato Smith gives a live presentation at the Mesa Public Library. Sempre com um olhar especial na analogia shaskesperiana!